ok, I'm in Sunnyvale - haven't played much in the last 2 months, but getting back into it. Will start going back to Swan Ping Pong in 3 weeks time! Hello everyone, my name is John. I am an engineering graduate student from the US. I picked up table tennis recently (~1.5 years ago) - one of my chinese colleagues got me into it. I am a beginner through and through. I play shakehand, I feel like I am still a beginner enough that I don't know what my style is. Oh, and I'm kinda in charge of the University's table tennis club now... long story. Hmmm, how I found this site... You know how beginners always overthink their equipment? Well, while I was doing that I came across this forum. Been lurking for a while, now I have actual questions that I want to ask (most for the club). Thanks to the forum, I got some nice equipment when I still had a budget (now its much MUCH lower ). Glad to be here! Last edited by notcras on 30 Nov 2018, 10:42, edited 1 time in total. - Not sure exactly how long have I been playing. The first time I took TT rackets in my hands was ~8 years ago. From that time I played really (and I mean Really) Rare. Now I play a little bit more often. Plus I'm trying to maintain for the past time (~2 month) tempo of 4 TT classes per week ~6 hours long in total. I'm 26 years old. - My level in table tennis is Beginner. - I practice Brazilian Jujitsu and sometimes teach classes (that sport was very new in our country, which caused another great journey of our own ways of searching development directions). I like traveling, but not that often, mostly going to other countries with my family to learn new things. Also I enjoy reading (sometimes read 'normal' books, sometimes technical literature, other times those forums about things I'm interested in (e.g. 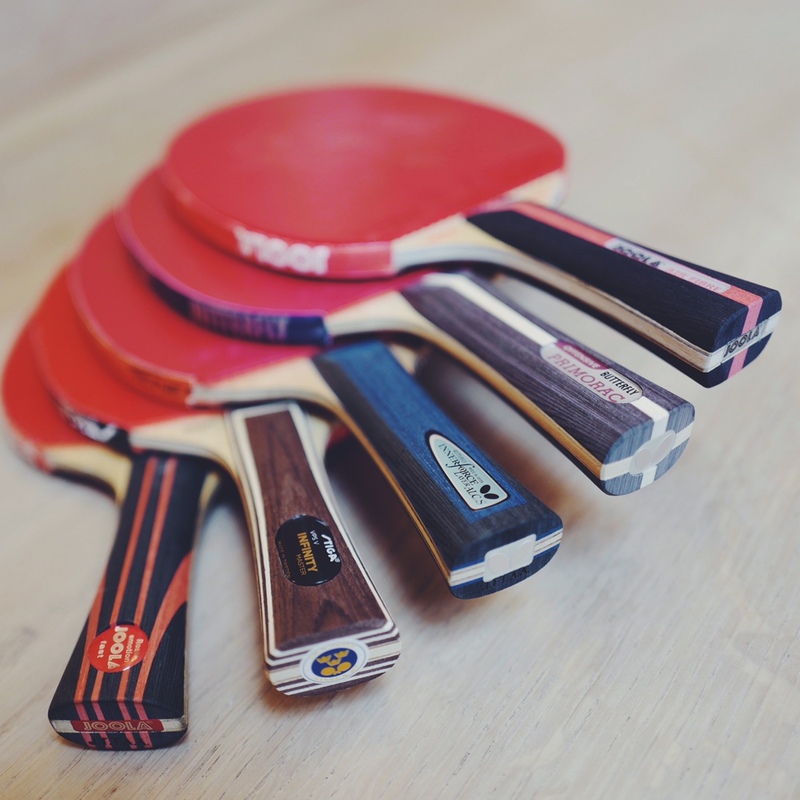 table tennis or equipment for table tennis). To be honest I also searched a source of information for table tennis (history, technique, ordered book: Table Tennis: Steps to Success by Larry Hodges, which is not shipped yet). Looks like newest hobie I found is starting different discussions with table tennis community, see example here: https://www.reddit.com/r/tabletennis/co ... ie_issues/). Somewhere in the internet I found post in which somebody mentioned facebook group called "North Little Rock Table Tennis Group at Senior Center". I thought there could be somebody, who could give me some piece of advice regarding to my journey (please note that I'm not disrespecting anybody, I respect my coache's opinion, but just want to get the picture on TT as complete as possible)). I decided to write a direct message to owners of that groups (to ask some newbie questions). I wrote there and polite man suggested ooakforum. My name is Tziphos, 45 y.o. and I am from Greece. Nice to see such a forum for table tennis, happy to be here. I has playing TT in a club in Greece for 4 years, when I was 12-16 years old but I had to stop it, and now, ~30 years after, I started it again as a sport. Back then, I was a DEF player so I would like to continue from this point. Rules, balls, bats, rubbers style of play etc where very different back then so as I am "newbie" again and I need your help to choose the right bat. I was an intermediate player at that time. Hi there. HeathrowTerminal2 from UK here. Midlife crisis had me revisiting table tennis and I’d consider myself a very dedicated noob. I’m getting coaching on the side and play maybe 6 hours a week against friends and similarly frantic and competitive office mates. Considering joining a (low) league here in London. I’d still very much describe me as a beginner but I work hard on basics, movement, drilling vs robots and serving etc. I am a long gone equipment junkie so these kinds of boards make me very happy. I’d love to play you all some day. Joola Rosskopf Emotion + Hurricane III Neo. I'm Adrian, 38 years, from Romania. I tried to learn TT around 3 times during my life, but failed due to various reasons. Mostly because I did not managed to hit the ball. Some weekes ago, some office colleague lost his Yasaka MaLin blade and I have made some bad joke with him that I can cut some scrap plywood for him, so he can replace it, but he needs to teach me TT. 2 Weeks later I had came up with 2 blades inspired by some pictures from the Internet and reading this forum. One "slower" for me and one "a bit faster" for him. Anyway these blades are much much faster than expected, by still playable. But the goal is that now I now a have a teacher to teach me TT and I am preparing the next blade prototypes. Outside TT I am a software engineer. I practice fishing, skying, wood carving and I build fishinglures from balsa wood. As mentioned before, I reached this forum while reading about TT blades composition. I made myself a user here because this community seems to have a bit of an edge over the other forums. Last edited by adyy on 06 Nov 2018, 02:40, edited 1 time in total. Outside TT I am an a software engineer and practice fishing, skying, wood carving I build fishinglures from balsa wood. Welcome! Very interested to see what kind of blades you've come up with! 4th is an all spruce 5 layers. I intended here to test hide glue made from Rabbit skin. 5th is a meranti-fiberglass-crosscut balsa-fiberglass-meranti. That one also needs handles. 1 other prototype is now at concept phase. I (will try to) add pictures/description into the "Make your own blade". Or should I make my own thread? Anyway I will also have lots of questions. I live (yet) in Romania. Greetings all. I'm 39 and have been playing on and off ever since I was a kid. I went to a friends party the other day and was surprised how interested my kids were in their ping-pong table. Son is 5 and daughter is 7. Anyways, I just purchased a Joola World Cup from Sears and it will be delivered January 12. I picked up a Killerspin Jet600 last week and will start learning about different paddles here. I live in Norther Utah. Not part of any clubs. Started when I was 14. Played a lot in the military. Found this forum while doing a search on MDF vs aluminum table tops.